A major differentiator for search products used within enterprises to enable finding enterprise generated and re-purposed content is intent. For too long the focus has been on search for content based on keywords that are contained in target content. Target content has been determined by what repositories and document formats are explicitly included in the search engine “crawl.” This simplistic approach to search for the most appropriate content does not work. 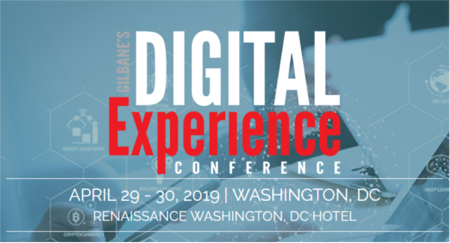 At an upcoming session, EST-3, in the Enterprise Search track at the San Francisco Gilbane Conference, we want to change the discussion about why search is needed for enterprise content and how it should be implemented. This means putting a focus on the intent of a searcher. In an e-commerce Internet experience we assume that the intent of a searcher is to find information with an end goal of selecting or purchasing products. But much of the content that is crawled on the Internet is “discovered” by all kinds of searchers who begin with no particular intent but curiosity, self-education, or with a search for something entirely different. We all know where that lands us – in a pile of stuff that may contain the target of our intent but mostly stuff with little relevance. Enterprise search has to be thought of as a value-added tool for enriching and improving our work experience and efficiency. If it is installed, implemented and tuned with little thought as to intent, it becomes another white elephant in the basement of legacy IT failures. Intent needs to be constantly explored and examined, which means that search administrators will routinely be talking to representative users, and surveying expectations and experiences. In our enterprises we search for content for many reasons. It is what we do with that content that creates business value or not. Too often, organizations discover that the content workers need to perform at their highest levels is not found. This may be because search implementation(s) are not delivered to the desktop to fit easily into workflow, or the interface is hard to use. It can also be that required content never gets included as a retrieval option. Search experts can give us guidance to establish search tools in the ways that fit how workers seek information and find actionable content to better their work output. On June 19th three such experts will talk about cases in which search solutions were designed for a particular audience. If you are in the audience to hear them, please comment through this blog on what you learn. New insights into applying search “the right way” are a refreshing addition to case study library.